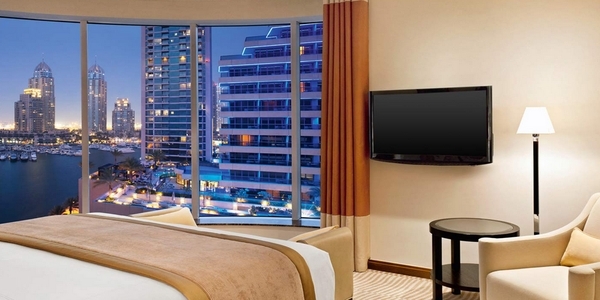 Grosvenor House Dubai is located 30 minutes drive to Dubai International Airport. and 20 minutes to the Dubai Mall and to the World Trade Center. SPECIAL OFFERS – Early booking discounts available on selected dates – please call 020 8150 7677 for details. Located in the cosmopolitan heart of Dubai at the Marina, these 2 landmark 45-storey towers offer luxurious contemporary accommodation with dazzling views of the Dubai skyline and Jumeirah Beach. Grosvenor House features spacious rooms, suites and apartments all complete with the latest in hi-tech comforts and classic design touches. Premier Room guests enjoy extra privileges including access to the Executive Lounge. A feast of award-winning dining options include Buddha Bar offering an innovative menu inspired by the cuisines of Asia, Rhodes W1 for the best of British cuisine headed by Michelin-starred celebrity chef Gary Rhodes as well as Indian, Mediterranean and Latin cuisines. Guests are also welcome to enjoy Le Royal Méridien Beach Resort & Spa, the award-winning sister property of Grosvenor House. 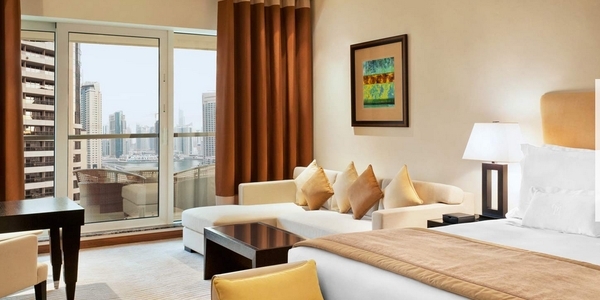 Deluxe room-35 sqm natural daylight room for 2 adults, the room overlooks the impressive Dubai Marina. 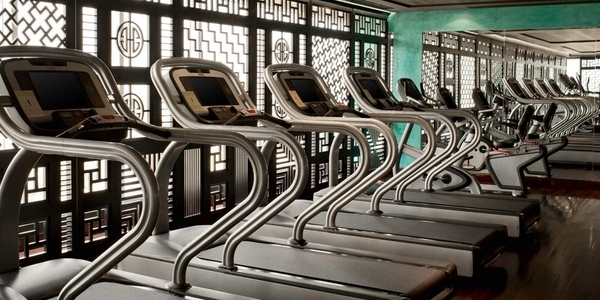 Wi-Fi access, complimentary access to spa and butler service. 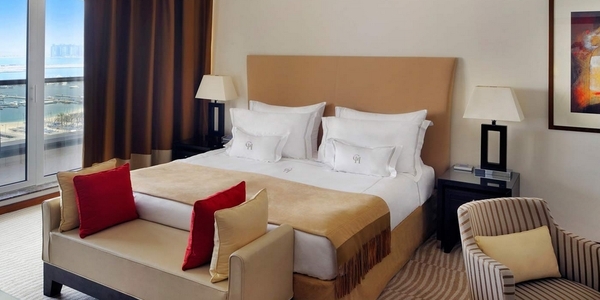 Superior deluxe room-55 sqm natural daylight room for 2 adults, the room overlooks the impressive Dubai Marina. Wi-Fi access, complimentary access to spa and butler service. Spacious walk-in wardrobes and seating area. Marble-clad bathrooms are fully equipped with separate bath and shower. Premier room-34-43 sqm natural daylight rooms located in Tower Two. 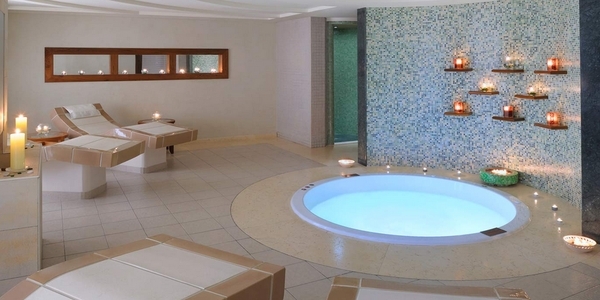 Free Wi-Fi, access to club lounge, breakfast included and access to the spa and butler service. Deluxe suite-68 sqm room perfect for travelers who like to travel in style. An abundance of space. Separate spacious lounge area and washroom. Sofa and armchair. Airport transfers upon request. Premier Junior suite-54 sqm natural daylight room for 3 sleeps. Luxe, comfort and style. Walk-in closets and luxurious Bvlgari toiletries. Working desk, high-speed Internet access and access to the Executive Business Lounge Level. Premier suites-60 sqm natural daylight luxurious suites for 3 sleeps. Located in tower two. Large lounge separated from the bedroom. Views of the Arabian sea, Palm Jumeirah or Dubai Marina. Standalone shower and deep bathtub. The suites are furnished in warm hues of creams and chocolate browns. Premier Executive Suite-81-87 sqm suite for 2 adults and 1 child. Located in tower 2, the suites are decorated in understated neutral tones. Acces to club lounge and to spa included. Breakfast included. Large room and dining area, working desk, private balcony and access to the Executive Business Lounge. One, two or three bedroom furnished apartments-55, 110 and 150 sqm apartments named the world’s Leading Hotel serviced Apartments’ at the world Travel awards. Family rooms, with 24 hours concierge, fitted kitchen and separate dining areas. Buttler service and access to spa. One, two or three bedroom residence apartments-71, 107 and 177 sqm apartments, with the same high standard of quality and luxury as hotel rooms. Open modern kitchen, en suite bathrooms, housekeeping service, separated living room and kitchen and covered underground parking. Buttler service and access to the spa. Grosvenor suite-105 sqm suite for 4 sleeps, located on 9th and 10th floor of tower two. Self-catering suite created exclusively for the discerning traveller. Royal Suite-200 sqm of luxurious space for 3 sleeps. Amazing and incredibly impressive suites, with large dining area, master bedroom, spectacular private jacuzzi and dry sauna. Access to the executive business lounge. Rhodes w1– british cuisine in a chic restaurant, with an atmosphere of cheerful and sophistication. 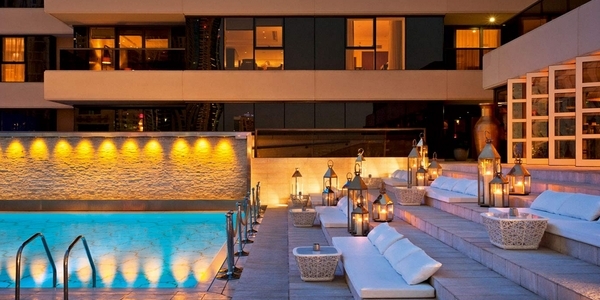 Embassy Dubai– modern European cuisine in a late night club, combining dining with dancing. 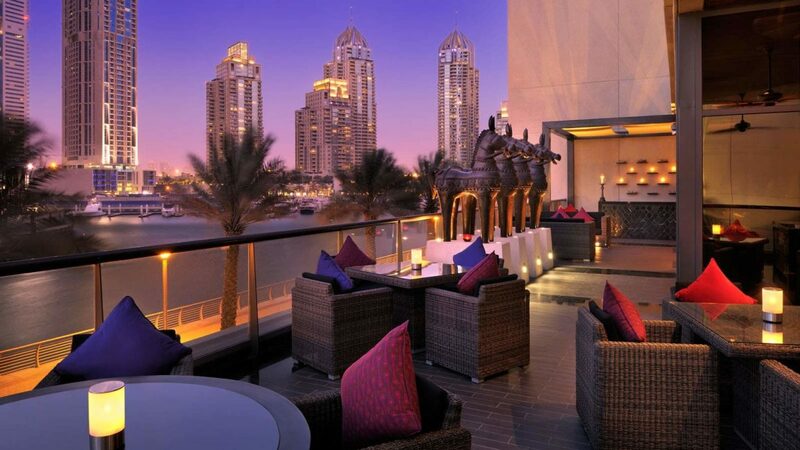 From there, you will enjoy an amazing view of Dubai. Toro Toro– Pan-latin American cuisine restaurant, where you will have the possibility to experience tastes from Argentina to Brazil. 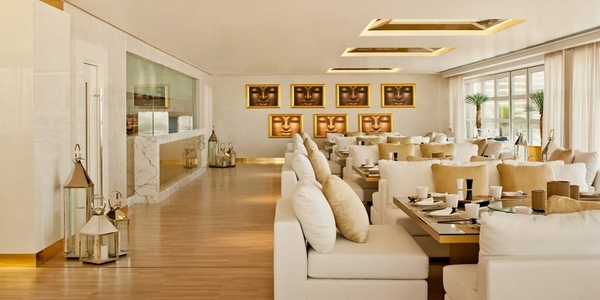 Siddharta Lounge by Buddha Bar– Fusion of Mediterranean and Asian gastronomy in a sophisticated and relaxing atmosphere. Indego by Vineet– Modern Indian cuisine prepared by Vineet Bhathia, a Michelin Star winner. Sloane’s-All day dining to eat inside and outside the terrace. Ottoman’s -turkish Tradition cuisine with the flavours of the mediterranean sea. 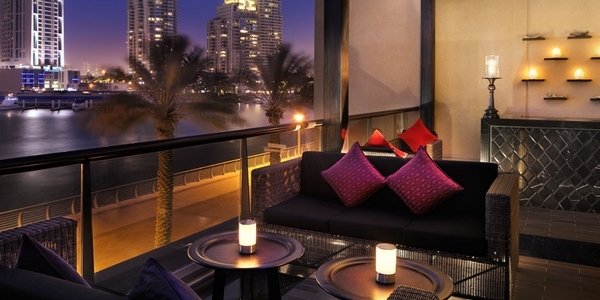 Buddah-Bar -Very popular and sought in Dubai, the Buddah-bar offers an amazing experience of Asian tastes. Leaves-comfortable and quite English lounge to taste the best teas in a library atmosphere.